Our top priority is to ensure an optimal experience and top performance with your Donkervoort. 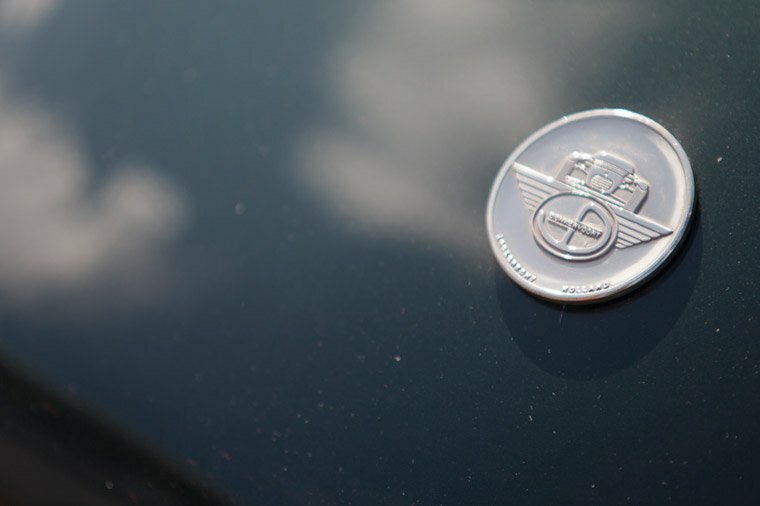 Ultimately, it is you, as a Donkervoort driver, who is our most important ambassador. Owning a Donkervoort is all about driving without compromise and without a filter along the best roads and most challenging circuits the world has to offer. Our top priority is to ensure an optimal experience and top performance with your Donkervoort. Ultimately, it is you, as a Donkervoort driver, who is our most important ambassador. With our wide range of services, events and products and our personal relationship with you as a Donkervoort driver, we hope to assure you of many wonderful, fast, memorable, thrilling and challenging kilometres with your Donkervoort. Our team in Lelystad and Düsseldorf and our reliable colleagues from our official Donkervoort Service Network are available to assist at all times. Donkervoort is delighted to assist you during your adventures with Donkervoort and to make them as fast and comfortable as possible. However, maximum performance and long-term enjoyment can only be guaranteed by proper maintenance. For this reason, it is crucially important to maintain your car at the right intervals and in accordance with the factory standards. In addition, we want you, where possible, to benefit from our current Donkervoort with our latest developments in technology, customisation and safety. In doing so, we strive to maintain top quality along with flexible, customised service at fair prices. Donkervoort After Sales & Service can create an overview of our maintenance, individualisation and optimisation options for your Donkervoort, from the classic S8 to a brand new D8 GTO RS. With these options and the all-in prices, putting together the annual maintenance of your car is both easy and transparent, and can be precisely attuned to your wishes. After all, your Donkervoort is just as individual as you are, and every driver has their own style. The highly complete range, the craftsmanship and the tried-and-tested factory setting ensure that plenty of international owners are choosing to take their Donkervoort to our factory or headquarters in Germany for restoration, repair and maintenance. In short, Donkervoort is delighted to assist you during your adventures with Donkervoort and to make them as fast and comfortable as possible. If you have any questions or if you require any further information, you can get in touch with the Donkervoort Service Department at any time. If your Donkervoort has been damaged, it seems natural that the best place to get it repaired is the place of origin. Top quality and high tech components that make a Donkervoort so unique, such as the lightweight tubular chassis, the wheel suspension or the composite body parts are repaired or replaced in the factory and your car is returned once more in top condition with every ounce of craftsmanship and love for the product. You understand that work carried out without knowledge of the driving characteristics can seriously affect the appearance and the value of your Donkervoort. That’s why you should always get in touch with Donkervoort Automobielen first in the event of damage. Over 95% of all Donkervoorts ever made are still driving on the road or on the circuit. Donkervoort considers it highly important to extend the lifespan of every classic Donkervoort. With over 40 years of history, Donkervoort classics such as the S7 and S8 models are becoming more and more popular, as well as more valuable. Originality and a good design and technical condition form the benchmark. Do you have a ‘vintage’ Donkervoort that you’d like to have restored to its original condition? Donkervoort provides the expertise, craft and precision from then and now, along with the complete or partial restoration of your Donkervoort, while utilising the original parts. We would be delighted to advise you on a suitable strategy for bringing your current or future Donkervoort classic back to top condition. It is now a given that Donkervoorts retain value and therefore have low depreciation. In addition, it is the case that Donkervoorts (thanks to the special features or edition) become collectors items over time and may, in fact, increase in value. You can benefit from this from day one with Donkervoort Financial Services. We are pleased to be able to offer you a new financing programme with attractive lease packages, meaning the dream of driving your own Donkervoort is not only closer, it also allows you to benefit right away from the unique position that Donkervoort holds on the market thanks to the ultra-light, fast super sports cars. 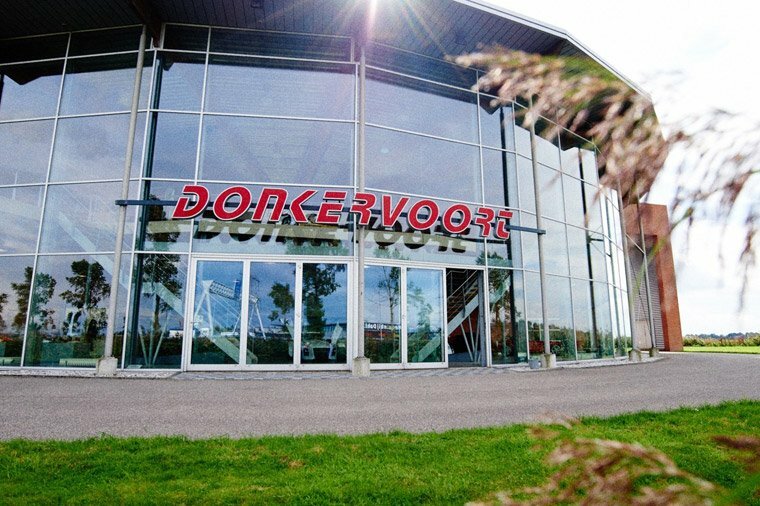 Donkervoort Financial Services is made up of two new types of financing: ‘Donkervoort Private Lease’ and ‘Donkervoort Full Operational Lease’. Both include especially favourable monthly fees, precisely because of the value retention that so characterises Donkervoort. Just like each and every Donkervoort product, the above leasing structures are fully and exclusively made-to-measure. We would be delighted to put together a custom quote for you. The official Donkervoort Online Shop is home to a wide range of original Donkervoort merchandise and clothing. You can also find Driving Gear developed especially for Donkervoort drivers along with a wide range of accessories. As a Donkervoort driver, you are part of the Donkervoort family. We want to ensure that you enjoy your Donkervoort, accompanied by other Donkervoort drivers if possible. From circuit days to factory tours and from exclusive sneak previews of the latest models and multi-day tours across Europe – we will ensure that you enjoy your Donkervoort to the full!